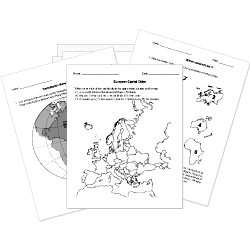 You can create printable tests and worksheets from these Grade 9 Asian Geography questions! Select one or more questions using the checkboxes above each question. Then click the add selected questions to a test button before moving to another page. New Delhi is the Capital of Sri Lanka. If India is unable to reduce its population growth rate, one possible consequence might be a shortage in the resource of . Asia is the largest continent in area and population. Family and reproductive decisions are made mostly by the men and their familes in India. This is described as a society. Between which two rivers is the heartland of China found? Mt Fuji is the highest point in Japan. China is located on which continent? The world's highest mountain, Mount Everest, is found in this mountain range. These are the two most famous rivers in China. This is India's fastest growing state. How many immigrants would Japan need to allow into the country a year to maintain its workforce? China's two most important rivers are the Huang He and Chiang Jiang. Great Silk Road was the most famous road because for the first time a land route connected China and Europe. What Country is comparable in size to China? What is the main factor that influences the climate in China?